Explore, learn, connect and discuss at this year’s Just Got Made Weekender which is celebrating the UK’s Maker Revolution. This two day show includes exciting craftspeople, micro-manufacturers and material specialists from around Britain, who will be showing off their skills, giving insight into their chosen professions and selling unique and original work. 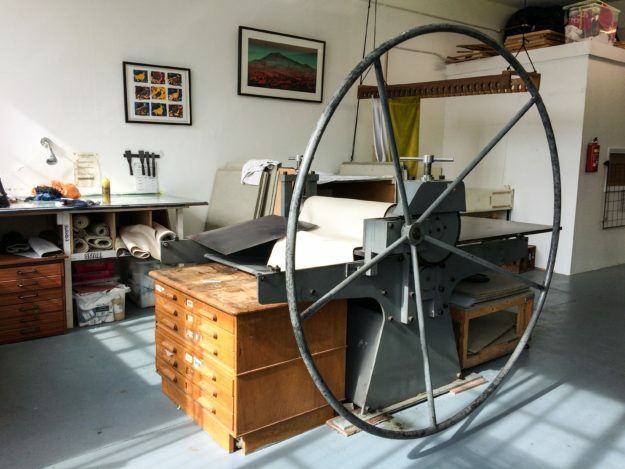 From heritage leatherworking to digital fabric printing, jewellery design to letterpress printing, the Weekender is a chance to meet like-minded maker enthusiasts and explore areas of contemporary making you may not have encountered before. Join the fun and creative drop-in workshops, exciting demonstrations, insightful talks and delicious refreshments. Professional makers can benefit from tips and Q&As in free business advice sessions, taught by experts including The Design Trust, The Crafty Fox Market and the Crafts Council Talent Development Programme. There will be an informal networking breakfast on Sunday, which is a great way to meet new production partners and collaborators. Cost: £5 day ticket, £7.50 both days.